RUN OVER and check out these Instant Pot 6-in-1 Multi-Use Programmable Cooker Starting at $49 (Retail $79). 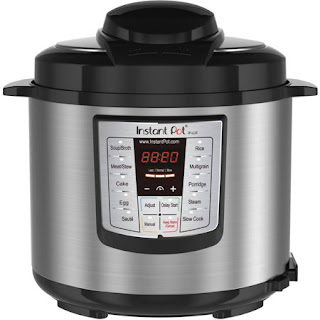 -Instant Pot Pressure Cooker has 3 temperature settings for saute and slow cooker functions, 24-hour delayed start timer, virtually silent with no heat or steam emitted during cooking. Ends 7/25 or while supplies last.